I was looking in an old notebook, and ran across a couple of quotes I had jotted down from President Obama about the Iran Deal: I won’t testify as to their accuracy, as it’s clear I was scribbling fast. I can hardly read my writing. Sounds like Obama alright. That worked out well. The President had the prerogative to walk away from the agreement at any time, whether or not Iran was found in violation of the IAEA. The Iran Deal did nothing to safeguard against the production of nuclear weapons. We even had to ask permission to inspect. We also know that after Trump’s speech making the case for withdrawal, Iranian president Hassan Rouhani claimed that Iran would be “prepared for enrichment in the next weeks.” Which is a weird thing for a nation that has completely given up its desire to obtain nuclear weapons to say. Then again the idea that this agreement, as promised by so many in Obama administration, snuffed the Islamic Republic’s nuclear ambitions was absurd all along. 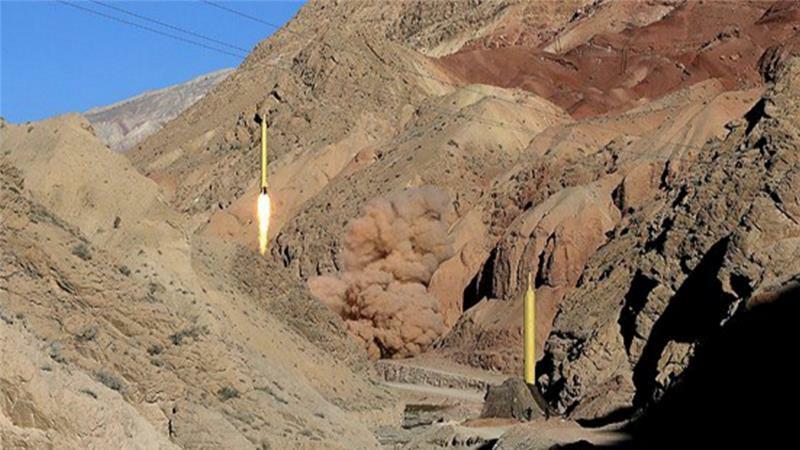 Iran is continuing to develop a ballistic missile program to deliver those weapons. The Boeing deal is off. The United States can reinstate sanctions, and we can target any nation that helps Iran in its quest for nuclear weapons. European nations will probably try to salvage the deal, as they have irons, so to speak, in the fire with profitable business to do with Iran. Iran can come back to the table. The administration’s demands for a new agreement are wholly reasonable: Stop developing ballistic missiles that are meant to deliver nuclear weapons; Stop supporting terrorist groups around the Middle East that undermine U.S. interests and those of our allies — in Syria, Lebanon, Palestinian territories, Yemen, etc; Stop publicly threatening our ally Israel with destruction; Stop threatening freedom of navigation in the Persian Gulf and Red Sea; Stop fueling the civil war in Yemen; Stop cyberattacks on the United States; Stop kidnapping Americans. Is there something unreasonable about that? People probably thought that those things were part of the deal. They weren’t. We can now target Iranian aggression. No more pretenses. We can target Iran’s terror regime through economic means. We can support the human rights advocates in Iran, and maybe do something useful. I don’t know that any other candidate could have withstood all the silly guff from the leftist media, who are far stronger in anti-Trumpism than in either common sense or history. Donald Trump just did a difficult, but very good thing. Confusion reigns over every mention of the “Iran Deal.” And it is back in the news and at a moment in time when confusion over every tiny thing about the Trump administration, not to mention the large things, seems to set off what might be called a panic attack in the Democrats. Any ability to talk about such things calmly and seriously has gone by the wayside. It’s some kind of contagious dementia. Iran is not a friendly Middle Eastern country. They support most of the worlds terrorism and terrorists, are attempting to become a nuclear power, are making trouble wherever they can in the Middle East and elsewhere, and generally fall in the category of bad guys. Very bad guys. The Obama administration signed a nuclear deal with Iran. It is not a treaty, but just an informal deal to relieve sanctions on Iran if they stop trying to get nuclear weapons. They are supposed to get inspections to see if they are doing what they claim, but that isn’t happening, and everybody’s worried about what will happen, what the Trump administration will do, what can be done or not done. All is confusion. Frederick W. Kagan, a scholar at AEI on Foreign and Defense Policy, the Middle East and Terrorism in general, has spelled out the facts of the deal and attempted to alleviate the confusion so we have some understanding among the reports from the media, most of whom don’t seem to understand any more than we do. Do read the whole thing, or better yet print it out or save it. This is going to be a major bone of contention for some time yet, and the Democrats are off the tracks, partly because it was an Obama effort, partly because they are quite sure that Trump is starting a new war, or is too irrational to do the right thing, or is anxious to start something or who knows what catastrophe the evil Trump will devise. In other words, we need to know what they are talking about. Knowing what they are talking about is the best defense. On Sept. 10, a Navy P-8 Poseidon with a crew of nine and an EP-3 Eries with a crew of roughly 24, were flying a reconnaissance mission 13 miles off the coast of Iran, through the Persian Gulf, Strait of Hormuz and Gulf of Oman, according to officials who call the boundary Iran’s “black line.”Iran’s territorial waters—like all nations–extend 12 miles into the sea, according to international maritime law. It’s the country’s first new construction of this kind since signing the nuclear deal last year. Iran began building its second nuclear power plant with Russian help on Saturday, the first such project since last year’s landmark nuclear deal with world powers. So apparently Obama’s Iran Deal is just going swimmingly. The list goes on of outstanding officers asked to leave before what would normally be their expected tenure. I have no current connections in the military, so I can’t speak to the clear meaning of all this, but I do remember my history, and Iran has been at war with us since 1979. And I have never been able to understand the Iran Deal and what Obama thinks it will accomplish. Investors Business Daily had a few words to offer on that one. 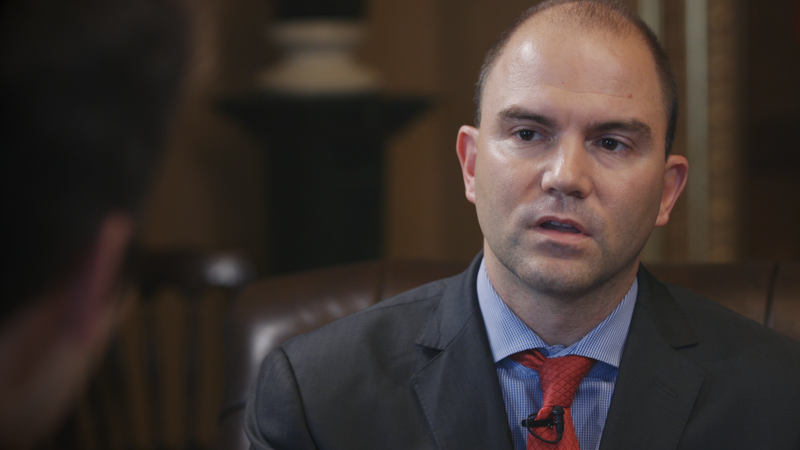 The piece was titled “The Aspiring Novelist Who Became Obama’s Foreign-Policy Guru: How Ben Rhodes rewrote the rules of diplomacy for the digital age” by David Samuels. It was a revealing interview. Mr. Rhodes says he has a sort of mind-meld with the president. Much has been made of the fact that Rhodes was working on an M.F.A. in creative writing, and now he channels the president’s consciousness into an optimistic narrative that shapes the president’s foreign policy. 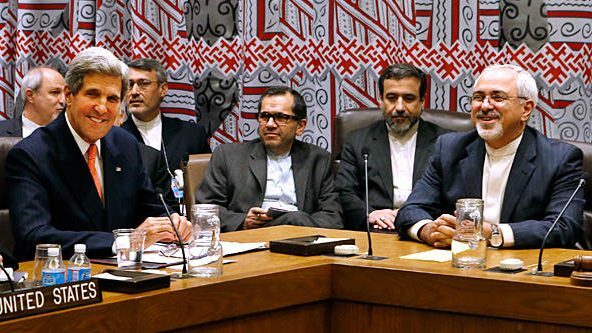 The president announced the nuclear deal on July 14, 2015: “Today, after two years of negotiations, the United States, together with our international partners, has achieved something that decades of animosity has not.” Actually the meaningful part of negotiations with Iran took place in mid-2012, many months before Rouhani and the moderate group where chosen in an election among candidates handpicked by the supreme leader, the Ayatollah Ali Khamenei. There was never any new reality in Iran nor any moderate faction. With this one bold move, the administration would begin the process of a large- scale disengagement from the Middle East, which had always been Obama’s goal. With the smug innocence of the morally superior, Mr. Rhodes revealed far too many truths about manipulating the media, his contempt for the press, and how he manages the flow of information. Since the actions of the Obama administration are obviously correct, selling the deal to Congress, and framing the deal as a choice between peace and war was Rhodes strategy. Guided by his moral superiority, Rhodes neglected to consider that the American people aren’t much on being deliberately lied to, and the media isn’t enthusiastic about being manipulated, and especially about that being publicly revealed. Articles about Ben Rhodes, about the NYT Magazine piece, and about the lies in presenting the Iran Deal have been forthcoming in a steady flow from all over the world. Congress has invited Mr. Rhodes to come testify about his part in the episode and it is suggested that if he does not turn up voluntarily, he will be subpoenaed. Iran clearly is continuing to do just as they choose, ignoring any sanctions, as if there was no ‘deal’. Congress has not agreed to any deal. Yet when Obama lightly criticizes Iran it comes across as absolutely bizarre — as advice to Iran on their business climate. “When they launch ballistic missiles with slogans calling for the destruction of Israel, that makes businesses nervous.” It makes six million Israelis nervous too. Congress has not lifted U.S. sanctions on Iran. Keep that in mind. The President and the Secretary of State cannot make treaties on their own. The U.S. Constitution requires congressional approval for any such agreement. European governments and industries are heading for Tehran to get a cut of the massive windfall that the end of international sanctions. Americans are largely sidelined. However, Obama has given Boeing special permission to do business with Iran. The administration hs been cutting back on defense spending. A new market would mean jobs and decreasing the trade deficit. Obama believes that new business will improve the Iranian economy and benefit Iran’s people who had been suffering under sanctions. The Supreme Leader has no concern for Iran’s people but is only interested in destroying Israel and the United States. He says so, regularly. Obama believes, ignoring long years of evidence, that Iran would never use a nuclear weapon, that they are people just like us who care about their people and their families. If the carrots of engagement aren’t working, we must not be afraid to bring back the sticks. Recent half measures against Iran’s violations of the ballistic-missile ban are not enough. If the aggression continues, the U.S. and the global community should make clear that Iran will face the full range of sanctions and other steps still available under U.N. resolutions and in the nuclear deal itself. Iran’s destabilizing behavior in the region must stop. Until it does, our hope for a new Iran should not cloud the reality that the old Iran is very much still with us—as dangerous and as disruptive as ever. The other wild card in the deal is the price of oil, which is running currently at about $37 a barrel — far below Iran’s break-even price. Obama will not give permission to bomb any oil field because of the environment.